With so many online platform for communication, it is hard to choose any one. But, email marketing is still one of the most successful marketing strategies in the business world today. By far it is one of the most effective and inexpensive methods of advertising. Email is one of the most popular and personalized conversation tools on the internet. Research shows that checking email inboxes is one of the most common activities that we do online, even today. The significance of email is to deliver a personal message which is quite a powerful way to market in an event industry. Promoting an event through email marketing and broadcasting it on event posting sites is one of the most popular and operative methods. Email marketing is very affordable and puts quite a personal impact on audiences. This form of marketing lets event marketing companies broadcast the message to target audiences at a very minimal cost. Catchy Content: Always start your email campaign with quality content. Writing a quality content inside the email to broadcast the information is vital. It’s the wording that sets the level of quality, but at the same time, you can add some catchy images related to the event. You can also add some short videos, flyers and discounts to catch some attention of the target audiences. The subject line and email headers are the most important part of an email. While sending out the email add some fancy and eye catchy language which insists your target audiences to open the email. Competition in event management companies is huge which makes it even more important to choose your titles and event email subject lines very carefully. Frame the Subject Line in Fancy Language: The subject line of the confirmation email is of vital importance. While sending out the email invites you need to frame it in such a way that it keeps preventing from being sent to the spam folder. Avoid using words such as free, subscribe or all new. It is always a good idea to avoid these types of words and phrases, to avoid spam filters. According to experts, the subject line can create a positive impression on the recipient, if framed carefully. Personalize The Message: A constant struggle when sending mass emails is the loss of personal touch to it. Making a personalized effort while promoting an event can make a huge difference. Try to include recipient’s name in the subject line or within the email, it always acts an attention grabber. No one likes being sent generic messages that don’t seem to address you in any particular way. Constant Reminder: Another important part of promoting an event is, sending constant reminders about the event. 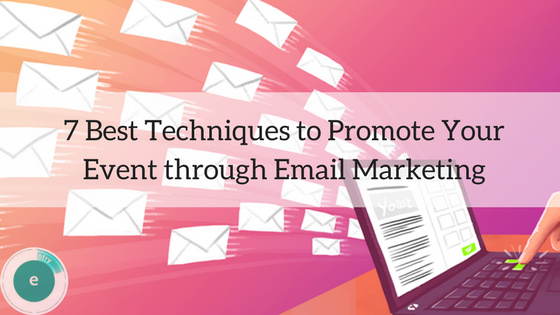 A reminder email with fancy content can always make a difference to your target audiences. There are many online event registration that makes it a point to remind the target audiences about the upcoming event so it gets registered in their mind. Segment Your Campaigns: As with any marketing campaign, segmentation is key to making sure that your content is as relevant as possible for the target audience. The emails marketing strategy depends on the audience you are targeting. While broadcasting an event conduct separate email campaigns to maximize audience engagement. Highlight The Happening Of The Event: — While email marketing promotions of the event try to highlight the happening of the event in an attractive and appealing way. A Confirmation Email: Most event organizers add various links to the confirmation email for the convenience of attendees. Providing links gives the attendees in-depth information without actually cluttering up the confirmation email. While sending out the email you can add a link to the corporate website, a link to a map of the location where the event is organized and links to the sponsor’s websites for their convenience. 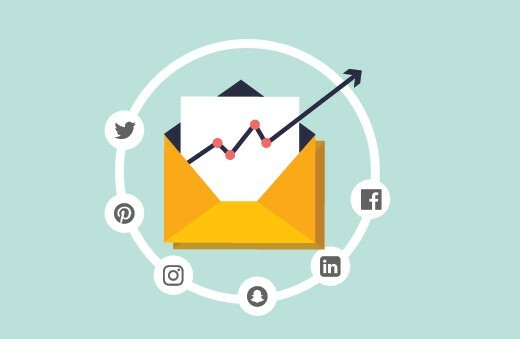 Summary: — Email is the most common form of communication would be a gross understatement According to reports, email marketing is the single most effective way of promoting events. Marketing and promoting an event through email, has the most appealing advantage as the return on investment is quite high. Bio: — Eventry is an online independent platform for event organizers and participants. It not only allows organizers to submit event and sell event tickets online but it also offers multiple other options to manage or attend an event effectively. In short it’s a one-stop online platform for event organizers and participants. We are professional event hosting website who mainly focus contributing to the society by helping the organisers and participants.